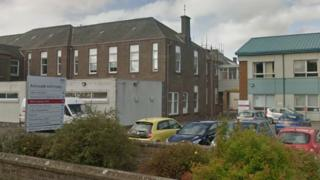 Arbroath Infirmary's medical unit has reopened to new admissions following an outbreak of influenza A. The health board had closed the ward to new patients on Friday. NHS Tayside said a "small number" of patients in the ward had been monitored and "enhanced infection control precautions" were put in place to control the spread of the virus. It had asked people to avoid visiting the ward to help reduce the spread of infection.